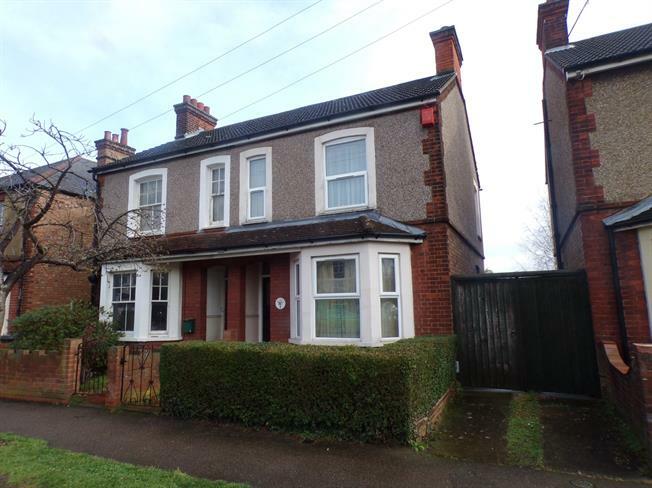 3 Bedroom Semi Detached House For Sale in Bedford for Asking Price £269,995. A three bedroom bay fronted semi detached home located on the outskirts of Bedford town centre. The property does require updating and refurbishment and would make an ideal project or first time buy. Benefits include double glazing, gas to radiator heating and three separate reception rooms. There are three double bedrooms, an upstairs bathroom and a garage in the rear garden. This is an ideal first time buy or project. Wooden single glazed door. Radiator. Double glazed uPVC window facing the rear and side. Radiator. Roll edge work surface, built-in units, single sink. Laid to lawn. Garage at the rear of the garden in block with next doors garage. Wooden shared gated access to front.